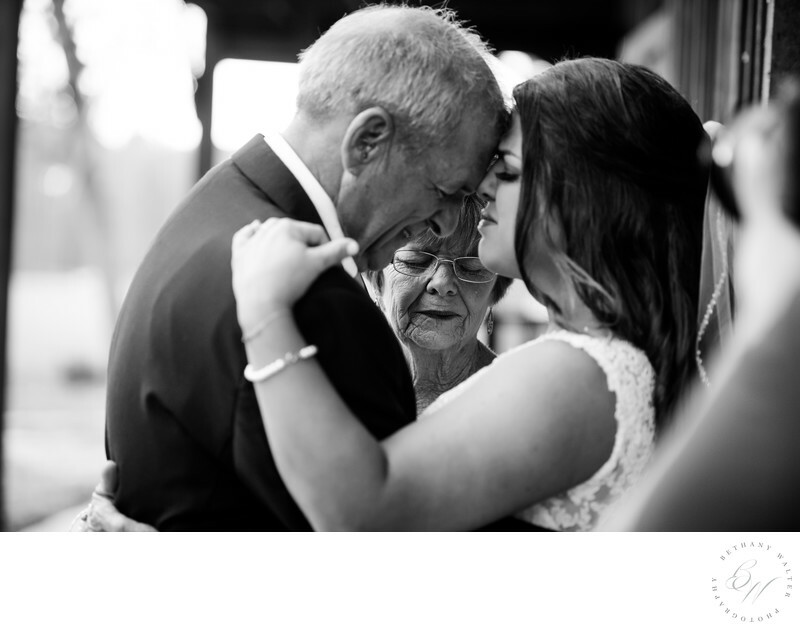 This bride wanted to do a first look with her father and mother before she walked down the aisle. They also wanted a few minutes to pray together for her marriage. This image from those moments is my favorite. The raw emotion on all of their faces speaks volumes about their love for each other and the importance of prayer in their lives. Location: St George, Georgia .